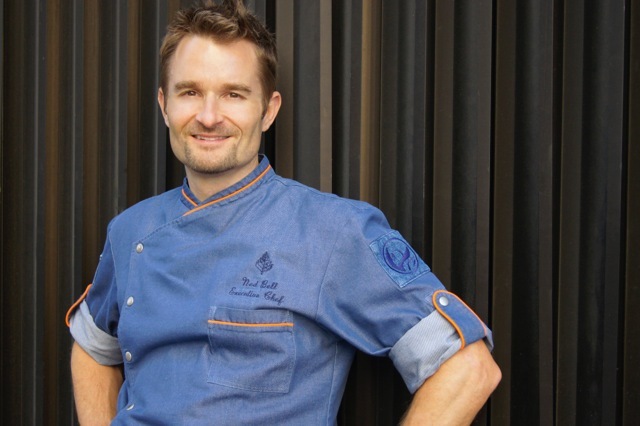 Chef Ned Bell, one of Canada’s leading culinary figures (Executive Chef, Four Seasons Vancouver) is an outspoken advocate for making the right choices when it comes to eating from the sea. Enjoy Ned’s skill and warm personality as he shows us how to cook a variety of fish and seafood, while making the right choices and being an informed consumer and cook. Whether cooking for six or six hundred in his role as Executive Chef at Four Seasons Hotel Vancouver and YEW seafood + bar, Ned Bell’s cooking philosophy is globally inspired and locally created. Ned’s love of sport, travel and adventure have taken him all around the world creating memorable experiences and cooking up a storm along the way. He is inspired and passionate about crafting dishes that lean heavily on plant based, nutrient dense ingredients with an emphasis on sustainable seafood. His community-focused life is firmly based on the health and wellness of his home, his country and the world through ‘feeding’ extraordinary life experiences. In 2014, Ned founded Chefs for Oceans and rode his bike 8,700km across Canada. He hosted two dozen events that featured some of the best chefs in the country striving to raise awareness for healthy lakes oceans and rivers and sustainable seafood. Ned’s diverse British Columbia upbringing instilled a passion for fresh and locally sourced cuisine. This drive led him to work in some of the country’s top kitchens in Vancouver, Niagara, Toronto, Calgary, Kelowna and Vancouver amassing many great accolades along the way – from seven seasons on Food Network Canada’s Cook Like a Chef, to Where Magazine’s Best Overall and Rising Star awards, to being named Western Living Magazine’s Top 40 Foodie’s Under 40. To add to the list, Ned was recently honoured as Canada’s Chef of the Year recipient for Food Service and Hospitality Magazine’s 2014 Pinnacle Awards, along with the Green Award for Sustainability at this years Vancouver Magazine Awards.